I remember getting this spray a while ago but never got around to using. It’s a product that my body would probably appreciate and especially in the summer when my feet get really swollen from the heat. It says it is good for legs and feet and that’s a concept that really interests me because I struggle to imagine how something can work well on both. One needs something a lot more heavy duty than the others. When I used it the feeling on my legs made it quite obvious it is really just for the legs. It felt way too strong and overpowering on the leg but not quite as effective as I imagined on the foot. In my head it would cool and soothe much in the same way as a lotion does but without the substance. The spray, which felt to be nothing more than lavender scented water, was actually a little oily in texture and struggled to soak into the skin. The spray was certainly cool and comforting but no more or less than sticking them in a bucket of cold water. This product could be so good and useful to so many people but instead it falls way short of the mark. You are also left to guess a few things about the product including how far away you need to spray from, if there are any recommended limits or if there is any safety advice. The lack of advice is pretty unusual in my experience of Avon products. 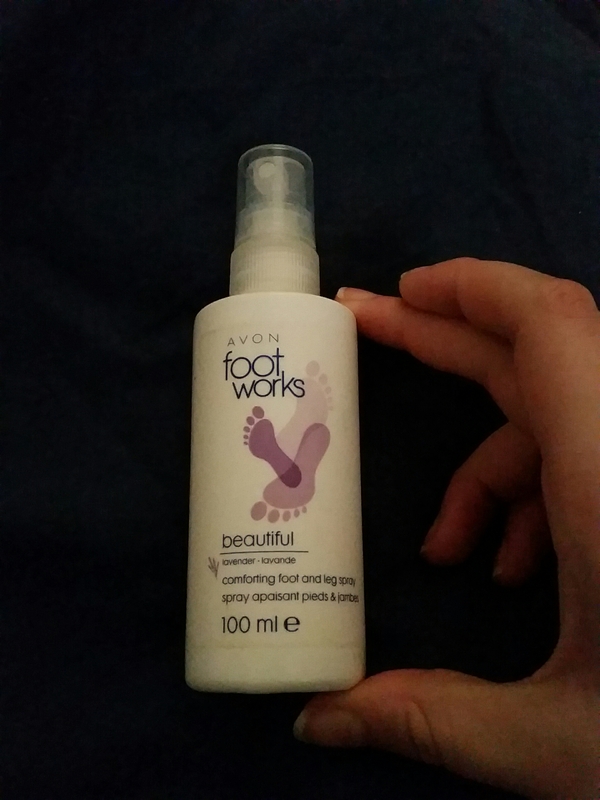 This entry was posted in Beauty, Skincare and tagged autumn, avon, beauty product, comforting, feet, foot, foot spray, lavender, lblogger, lbloggers, Lifestyle, lifestyle blogger, lifestyle bloggers, pamper, pampering, selfcare, spa, spring, summer, treatment, water, weather, winter. Bookmark the permalink. Footworks from Avon is pretty good. Yes I like a few other products in the range but just struggled to get on with this one.